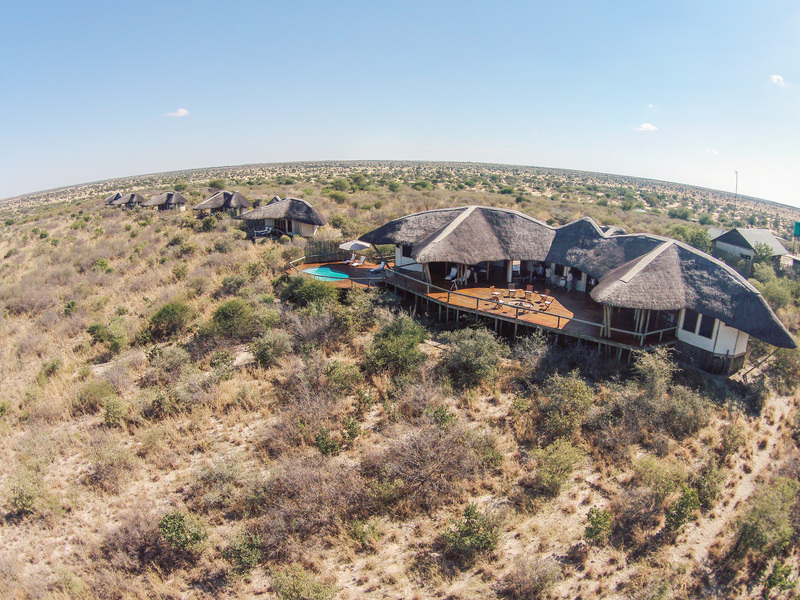 Your well-earned Christmas safari hosted by Kwando Safaris is waiting for you in the Central Kalahari Game Reserve. The Kalahari is a magical destination to take an African safari over the Christmas period. This peaceful semi-desert region of Botswana is remote enough to make it less-frequented by crowds of tourists. Guests can have the authentic and intimate safari experience in these two camps by Kwando Safaris that provide a luxury safari experience without negatively impacting on their surrounds. 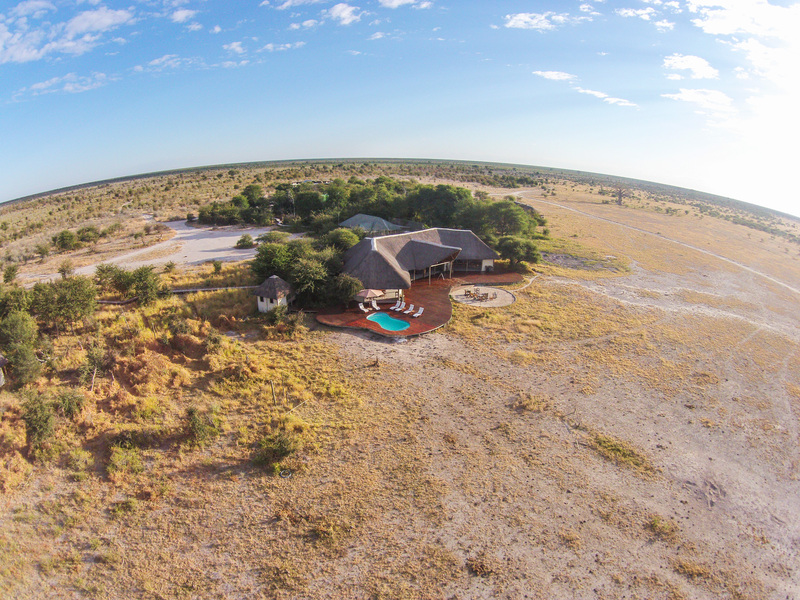 Set above the famous Tau Pan and overlooking the vast savannah plains, Tau Pan Camp capitalises on the stark natural beauty of the Kalahari. 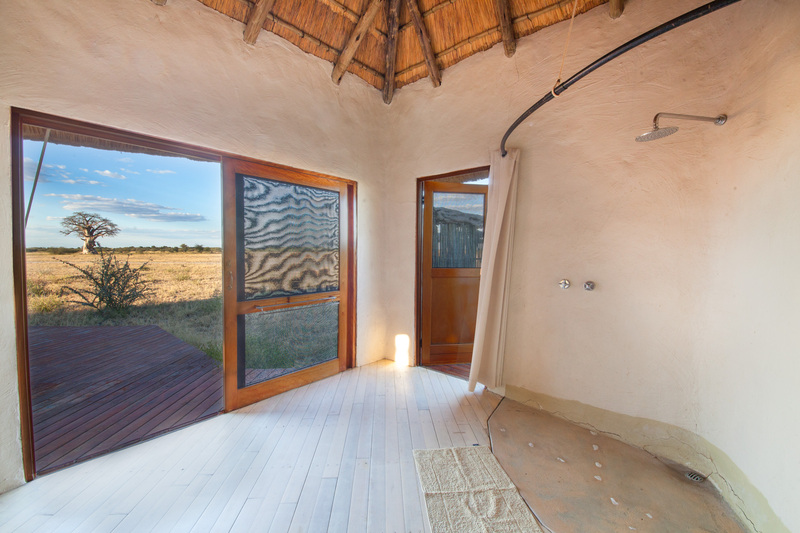 The camp works to minimise its carbon footprint on the surrounding ecology both in the construction of nine environmentally-adapted ensuite tents as well as operating only on solar-powered electricity and pumping water from deep under the Kalahari sands. 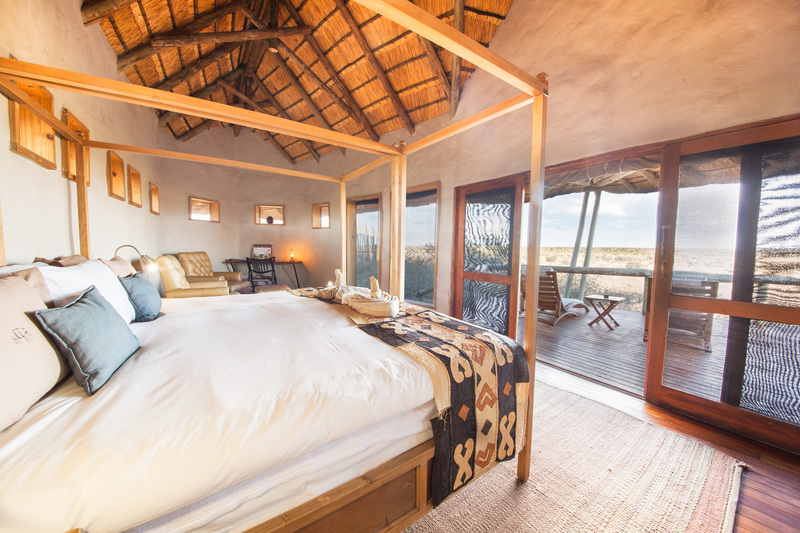 Tents are raised on wooden decks, guaranteeing spectacular views of Tau Pan and across the plains beyond. After a captivating night spent stargazing from the privacy of their tent’s deck, guests will bed-down in an ultra-comfortable king-sized bed with the only noise coming from the Kalahari’s nocturnal wildlife. 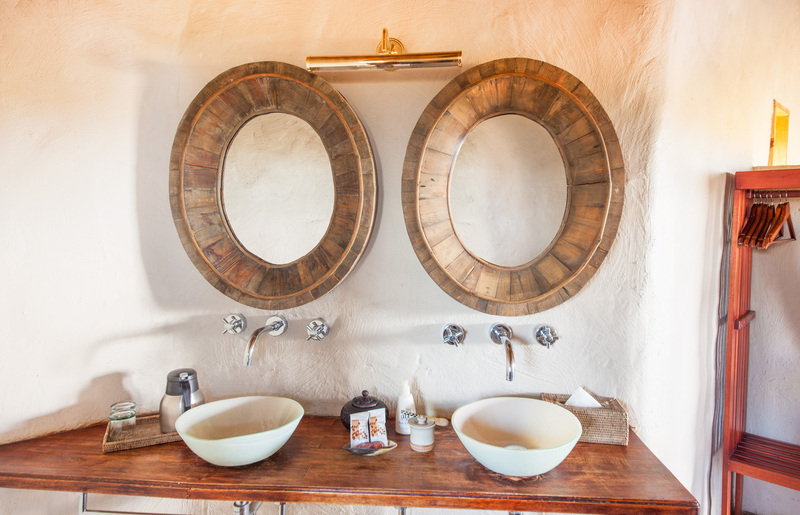 Complete with indoor and outdoor showers, double basin vanity and a large open wardrobe, Tau Pan Camp is all about giving guests luxury in this remote location. The camp is family-friendly, with a specific family tent designed to happily accommodate a small family. 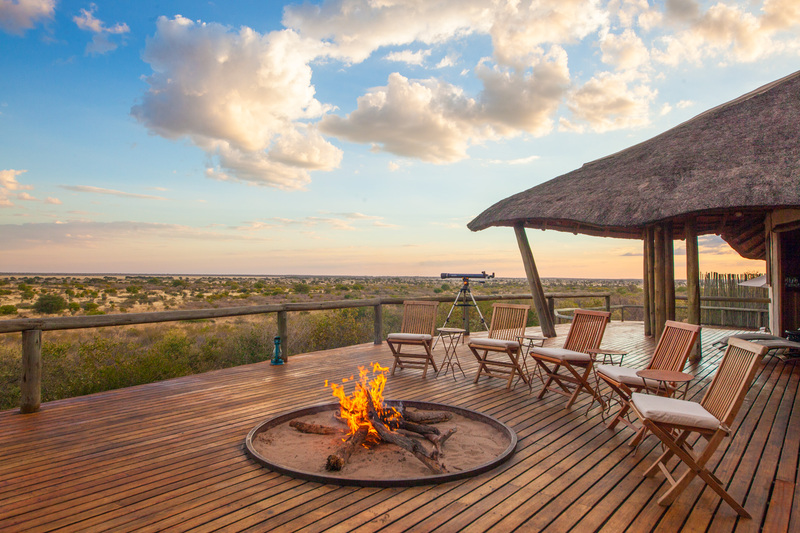 At the main camp area, guests can sit around the communal fireplace and watch the wildlife at the waterhole below. Meals are taken outside on the same raised deck and after an alfresco dinner, guests can marvel at the twinkling stars illuminating the night sky through the camp’s telescope. 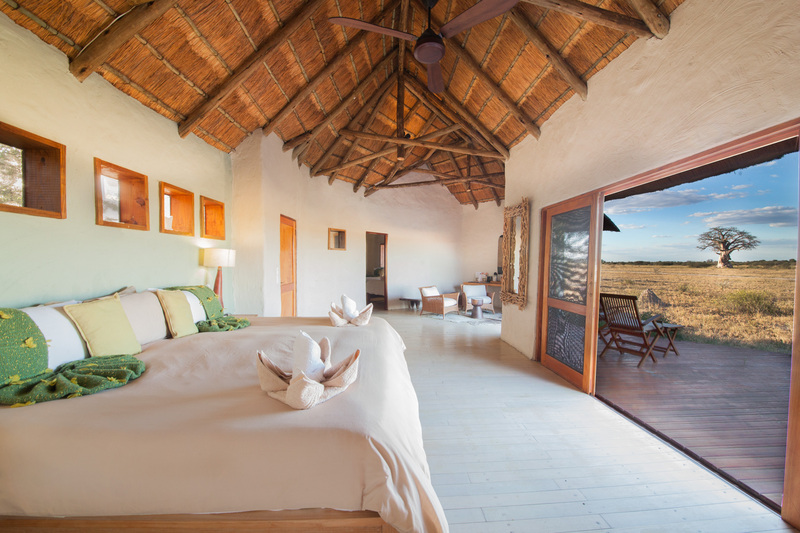 Sister camp to Tau Pan and with similar design aesthetics, Nxai Pan Camp overlooks the fossilised pan and surrounding grasslands of Nxai Pan National Park. The Nxai Pan is part of the route taken by the plains zebras on their mass migration across Botswana. From late December through to early April each year sees the second largest land animal migration in Southern Africa. At Nxai Pan Camp, guests can witness this phenomenon of a moving mass of monochrome stripes at various points throughout the year. The camp’s rounded white-washed walls together with its thatched roof and wooden fittings reflect the white salt pans and scrubland environment around it. Guests can enjoy the Kalahari’s iconic landscape from the comfort of the king-sized or twin beds, optional in each of the nine tents. The captivating beauty of the camp’s minimalistic design is enhanced by soft lighting. The ensuite facilities of each unit are quite impressive and guests can enjoy a private shower with a view. As with Tau Pan Camp, Nxai Pan Camp has one tent with two bedrooms for a small family. A sizeable pool on the raised wooden deck ensures guests can relax whilst keeping cool and taking in the view. 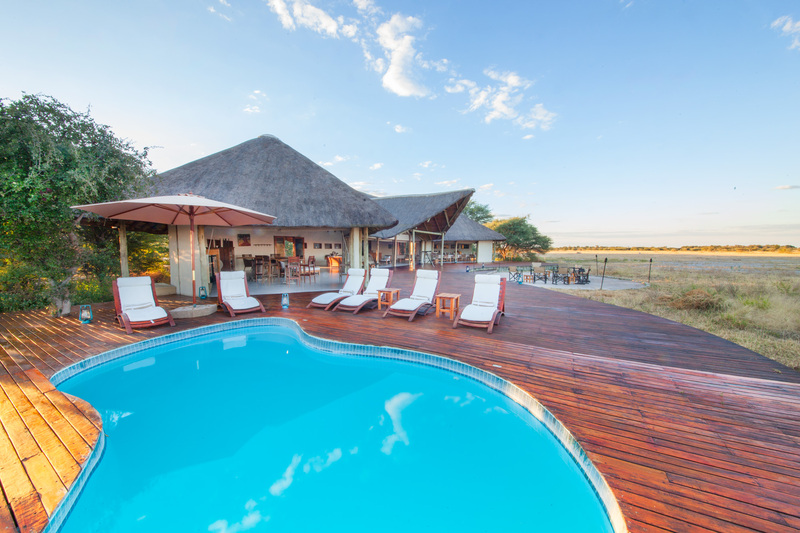 The open-air lounge makes for the perfect story-sharing space and dinners are enjoyed under the great Botswana sky. Let us help make your Christmas one filled with life-long memories created in the Kalahari.